Ready to save lives and make an impact? Not only do firefighters fight fires, they also do so much more. Providing public education about safety, conducting fire inspections, and performing community outreach to spread awareness about fire prevention are just some of the many complex duties of a firefighter today. Nowadays, many firefighters are equipped with knowledge and materials to properly handle hazardous materials and situations. Additionally, they are often trained as paramedics or EMTs for the event that an emergency requires immediate medical attention. Are you interested in becoming a firefighter. This guide will take you through the steps it takes to become a firefighter in 2016. Learn about the fire safety courses required for a fire science major. Interested in getting a fire science degree but don’t have the time to “go to” school? Not to worry; there are plenty of online programs out there. Read this guide to understand your options. A list of all of the top-rated fire science degree colleges and courses. A plethora of fire science degree and certification programs are designed to provide prospective firefighters with a solid foundation and understanding of what the career entails, to ensure that they are completely knowledgeable and ready to act quickly in any emergency situation! Learn how to become an EMT…. Note that while certificates are not considered degrees, they are useful credentials to show that you have acquired formal training in a particular field of firefighting. Some examples of certificates a student can earn are arson investigation, fire inspection, or fire services leadership, to name a few. Unlike earning a degree, certificates are earned after only taking some short classes that take less than a year to finish. High school graduates are eligible to take these classes to earn a certificate. High school graduates with a GED are qualified to earn associate degrees in fire science offered at local community colleges. 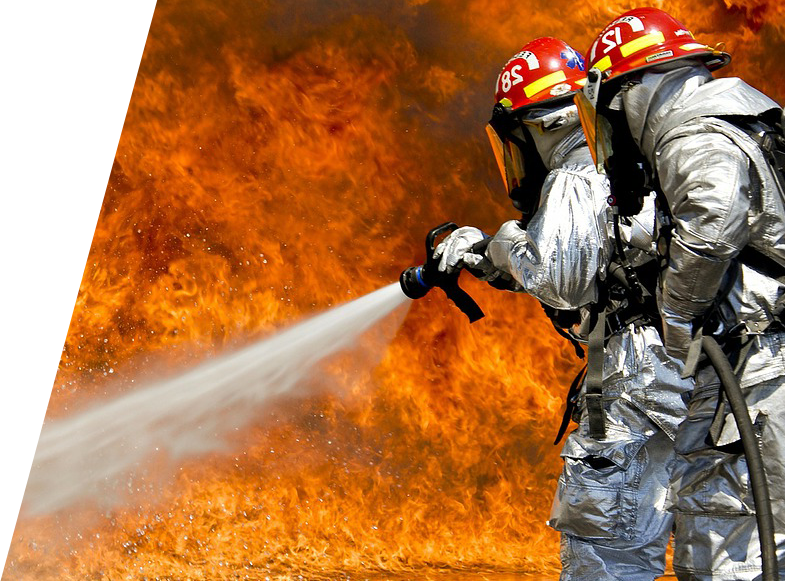 Coursework for this degree generally take two years to finish, and is designed to prepare students for entry-level positions in firefighting. A fire science bachelor’s degree provides extensive education in firefighting and the competitive advantage of getting hired. Due to the evolving roles of firefighters over the years, many more are going back to school to obtain this degree for career advancement. It usually takes four years to earn a bachelor’s degree in fire science. A Master’s degree is the highest degree one can earn in the fire science field. To earn it, students are required to work full-time for two years and gain real-life experience in the firefighting world. Master’s degrees are ideal for firefighters looking to obtain a higher-level position. Keep in mind that in addition to obtaining a certificate or degree, entry-level firefighters are often required to complete at least 600 hours of training in a 12 to 14-week period at a designated fire academy.